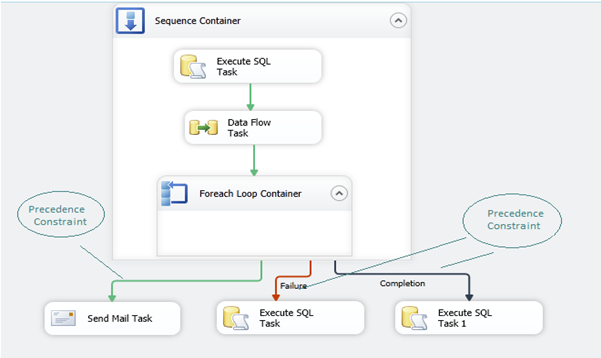 As the name suggest, ‘Control Flow’ means controlling the flow of execution of SSIS package. While designing the ETL package, we need to think how one container can be connected to another, how related tasks can be connected. To connect different components of SSIS, we need to identify whether we need to make tasks sequential or parallel. This whole design depicts the flow of execution and is implemented in ‘Control Flow’ component. 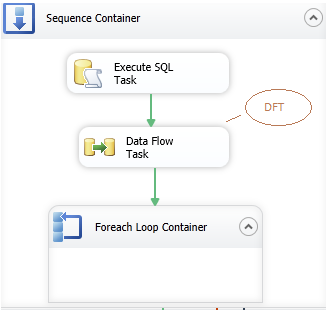 DFT is the heart of SSIS. Most of ETL operations are performed in DFT. As the name suggest, this task is used to transfer the data from source to destination. While transferring the data, operations like merge, merge join, data conversion etc. can be performed. This whole process involves Extracting the data from source, Transformation of data in the form expected in destination and then Load the data into destination which is nothing but ETL. However, the ‘Transformation’ part is optional. Now we have different tasks in control flow or DFTs, but the question is how will we create flow between these tasks? For this purpose, Precedence Constraint is used. They connect different tasks\ containers and direct the flow of execution. 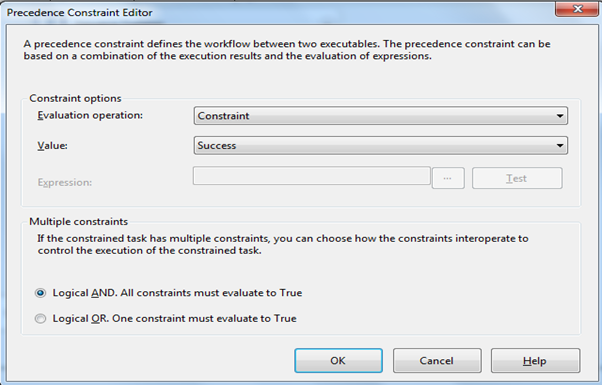 How to create Precedence Constraint? Whenever you drag any task from SSIS toolbox to the designer, you must have noticed a green arrow coming from task. To create a Precedence Constraint, you need to connect this arrow with another task\ container. This entry was posted in Knowing SSIS and tagged Control flow, Control flow in SSIS, Control flow versus Data flow, Data flow, Data Flow in SSIS, Difference between Control flow and Data Flow, Execution flow of SSIS, Package Design, Precedence Constraint, SSIS flow components, SSIS Package Design Concepts - Control Flow and Data Flow, Using Control flow and Data flow in SSIS on July 24, 2012 by tarun1487.